EY says there was an 8 percent recovery in the value of low hours/late model construction equipment between September 2014 and September 2015. A recovery is on the cards for construction equipment values, according to the EY 2016 Australian Yellow Goods report. The company’s analysis indicates an 8 percent recovery in the value of low hours/late model equipment between September 2014 and September 2015, and steady values for higher hours equipment. Both segments, however, have shown a fall in value since September 2013 of 7 percent and 15 percent respectively. It’s a different scenario in the mining sector, with the value of yellow goods "freefalling" over the last 12 months on the back of falling commodity prices, minimal demand and significant over-supply. Low hours/late model mining equipment posted a 30 percent fall in value from September 2014 to September 2015 (and a total 37 percent fall in values since September 2013), while there was a 22 percent fall in the value of higher hours equipment in the same period (and a total 41 percent fall in values since September 2013), EY’s Capital Equipment Group says. The company says that the positive market influencers include the weakening Australian dollar, a reduced supply of imported second-hand equipment, the emergence of US buyers looking for machines to break up, established or anticipated major infrastructure works, an uptick in construction activity and speculative buying of equipment by Middle Eastern buyers in anticipation of the removal of trade sanctions against Iran. The negative influencers, on the other hand, include sustained low commodity prices and increased low-cost iron ore production, which is having an impact on high-cost producers. 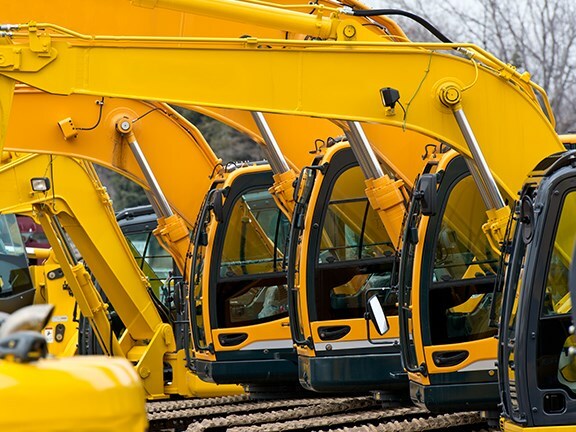 Looking forward, EY says it expects a continuing negative effect from soft coal and iron ore prices, but a weaker Australian dollar will probably make Australian second-hand equipment more attractive to overseas buyers. The analysts also believe that extended periods of weakness will eventually start to have a positive impact on the market. "Delayed capital expenditure decisions will eventually need to be addressed, providing potential for improvement in both the new and second-hand markets for yellow goods," they say.